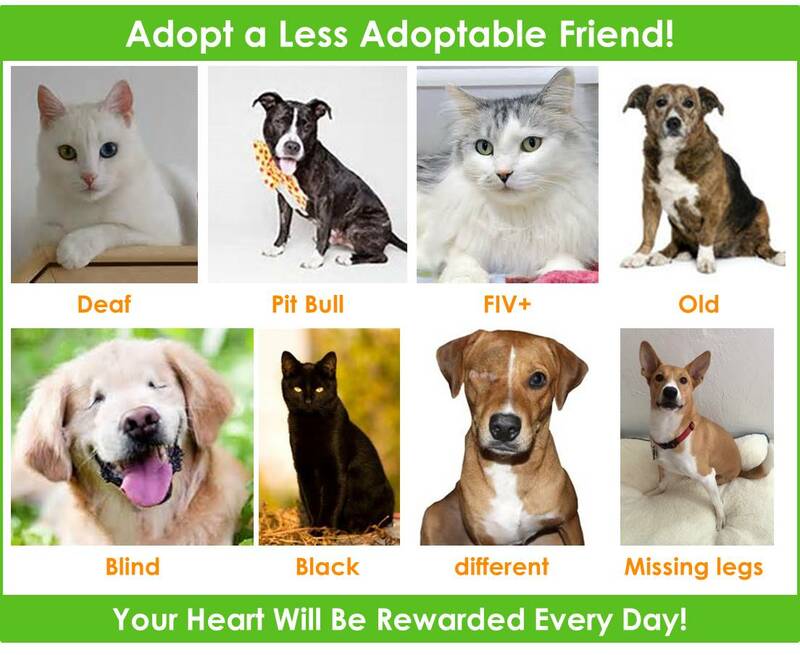 Our hearts belong with the less adoptable…the ones who aren’t “perfect’ in society’s eyes. The ones who have so much love to give, but are often overlooked out of fear or because they are different. When you are ready to adopt, please consider one of these amazing pets! Don’t overlook the shy dog or cat that is scared and is hiding in their kennel. The shelter is a scary place and not a good indicator of a pet’s true personalities. Your heart will be rewarded every day with love you couldn’t imagine! Benefits of adopting an Adult, Senior or Special Needs Pet! They are often housebroken (or just need a refresher course). They often know basic obedience and commands. They are full-grown, so you know exactly what to expect. They are past the chewing stage. They have lots of love and years left to give. They are so appreciative of a second chance at life. They have mellowed, but still have energy to be active. Giving an overlooked pet a loving home. Their love can’t be beat! Visit our Find a Rescue or Shelter page…and find your new best friend!